proven not to be extinct Crypt. There is no photographic evidence that I could find of the Sea Monster of Ayia Napa. There are a few undocumented sighting every now and then. 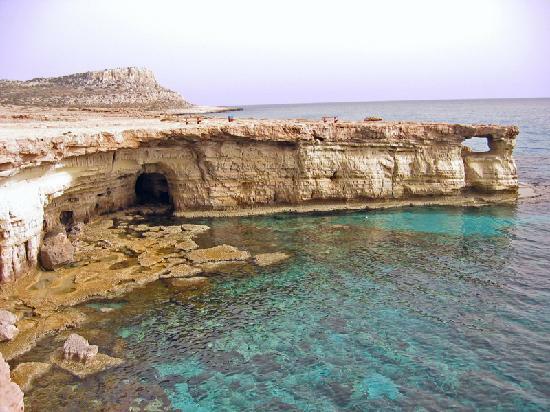 Cape Greco is said to by local legend to be the creature’s home and is where most of the “sightings” occur. 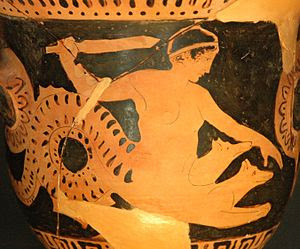 There are many different descriptions of the beast; some say it is similar to the Scylla mentioned before, a top half dragon and a bottom half porpoise, but the more believable form is a serpent or a crocodilian form. So all of this does not really helps its case. I was unfortunately unable to find any photo evidence online but if I actually went to Ayia Napa I bet I could find any evidence easy since they use it as a tourist attraction. So what if they use it as a tourist destination, but by doing so they are making it less and less likely for it to be real. If it even exist at all in the first place. In the end it does not really matter the evidence, if one truly believes the creature to exist then it just might after all. Ayia Napa monster could exist but I highly doubt that it looks like the Scylla; it is said to be something like a crocodile or a serpent. The Ocean is vast and it will probally be far far in the future before we humans will ever know what all is down there so there could easily be things that we once thought to be extinct living down past the point we human cannot go, For example the coelacanth which was said to be extinct 65 million years ago was recently dicovered to have survived in the deep deep ocean. Which just proves that something could exist like the Ayian Napa Monster could defintely exist, it could just be very good at hiding. In the end though everone is entitled to their own beliefs and opinions so whatever the reader wants to believe is there own right.